Pancake Tuesday is the one day in the year that everyone seems to fall in love with pancakes. 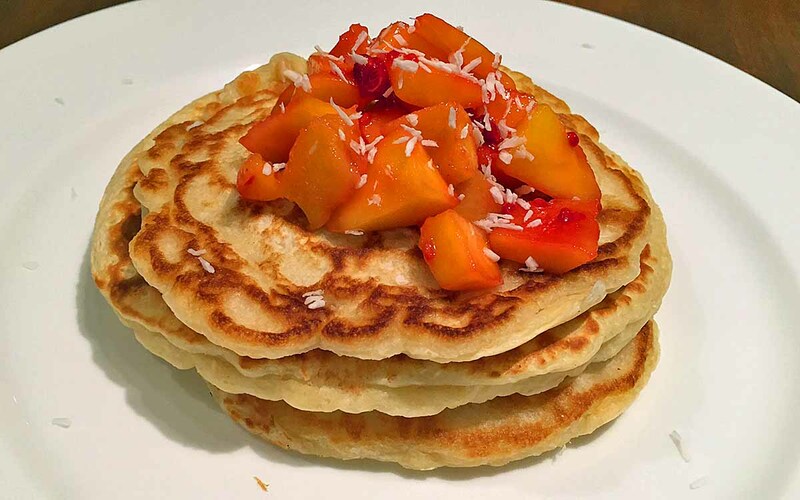 Pancakes can be a popular choice for breakfast, lunch or an evening snack, especially for kids, so with this recipe we replaced butter for a much healthier cooking alternative – coconut oil. Coconut oil is all the rage now in the kitchen, and a healthier way to fry food. We decided to try out a coconut pancake recipe in time for Pancake Tuesday. Check out the video and cooking method below. 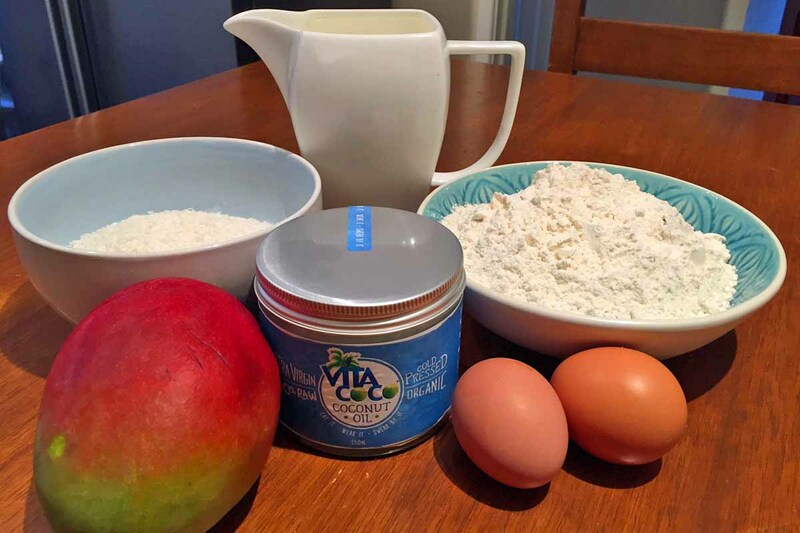 To make the batter simply add the eggs, self raising flour, coconut milk and desiccated coconut to a bowl, and whisk thoroughly until fluffy in texture. The batter will have a few lumps due to the desiccated coconut so don’t worry too much about that. Melt a small amount coconut oil in a pan and begin add your pancake mix. We cooked one pancake at a time but you can use a larger pan and cook two at once. Cook for around 90s on each side or until bubbles begin to appear. Heat the diced mango and raspberries in a pan over a medium heat with a squeeze of honey and a splash of water. After a minute or so the fruit will begin to release their juices. Top your pancake stack with the heated mango and raspberry mixture and pour over the juices. Sprinkle a little desiccated coconut on top. 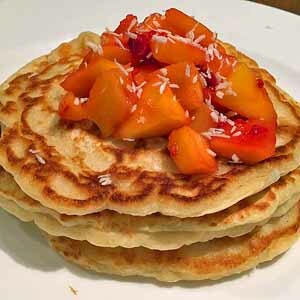 Alternatively you could serve the pancakes with the fresh mango and fresh raspberries. Watch the video below for an easy to follow step by step guide to these pancakes. Have you got a favourite pancake recipe for pancake Tuesday, or any other day of the year for that matter? Let us know by commenting below or sharing your favourite’s with us over at Facebook and Twitter.